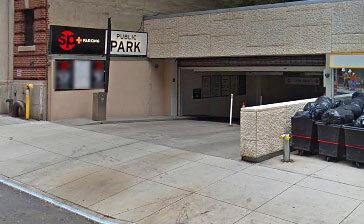 Manhattan Cruise Terminal Parking is available at several Parking.com locations. For more information click on the map shown to reserve parking. Daily and monthly rates are available at selected locations. The Manhattan Cruise Terminal is located on the west side of manhattan also known as Hell's Kitchen (12th Avenue, between 46th and 54th Streets). This location is also known as the Luxury Liner Row or New York Cruise Terminal and is one of New York's most modern first-class passenger terminal. Cruise lines served: Carnival, Norwegian, Princess, Cunard, Holland America, Crystal, Seven Seas, Silversea and Seaborn.